Join us on Monday, May 6 as we honor the talented and beloved Colman Domingo at our 2019 Gala! The event includes a cocktail hour, a live auction, dinner, and star-studded show directed by Robert O’Hara (SLAVE PLAY). Vineyard’s Gala event will include a cocktail hour and auction, dinner, and performances featuring artists of stage and screen, to be announced. Recent Vineyard Galas have included Liza Minnelli, Bebe Neuwirth, Brandon Victor Dixon, Danielle Brooks, Savion Glover, Betty Buckley, Jessie Mueller, Rebecca Naomi Jones, Ira Glass, and more. Colman Domingo is a multi-hyphante artist whose work as a writer and actor has been see all over the world. In addition to his plays DOT, A BOY AND HIS SOUL, and WILD WITH HAPPY, Colman co-wrote the Broadway show SUMMER: THE DONNA SUMMER MUSICAL and the new musical LIGHTS OUT: NAT KING COLE. You can currently see him in the critically acclaimed film If Beale Street Could Talk and the TV series “Fear the Walking Dead.” Colman is the recipient of numerous awards and is hard at work developing two TV series with AMC and HBO, which he will executive produce and write. For questions about purchasing tables, tickets, or sponsorships, please contact Gala Manager Hannah Dunkelberger at gala@vineyardtheatre.org or at 212-353-3366 x1219. Includes premium seating for 10 guests; full page ad in the Gala Journal; acknowledgement from the stage during the Gala and in Vineyard show programs throughout the season; digital logo presence at the Gala; opportunity to host artists at your table; and complimentary Vineyard Theatre memberships for all table guests. Includes preferred seating for 10 guests; half page ad in the Gala; acknowledgement in Vineyard show programs throughout the season; opportunity to host artists at your table; and complimentary Vineyard Theatre memberships for all table guests. Includes seating for 10 guests; quarter page ad in the Gala; and acknowledgement throughout the season in Vineyard show programs. 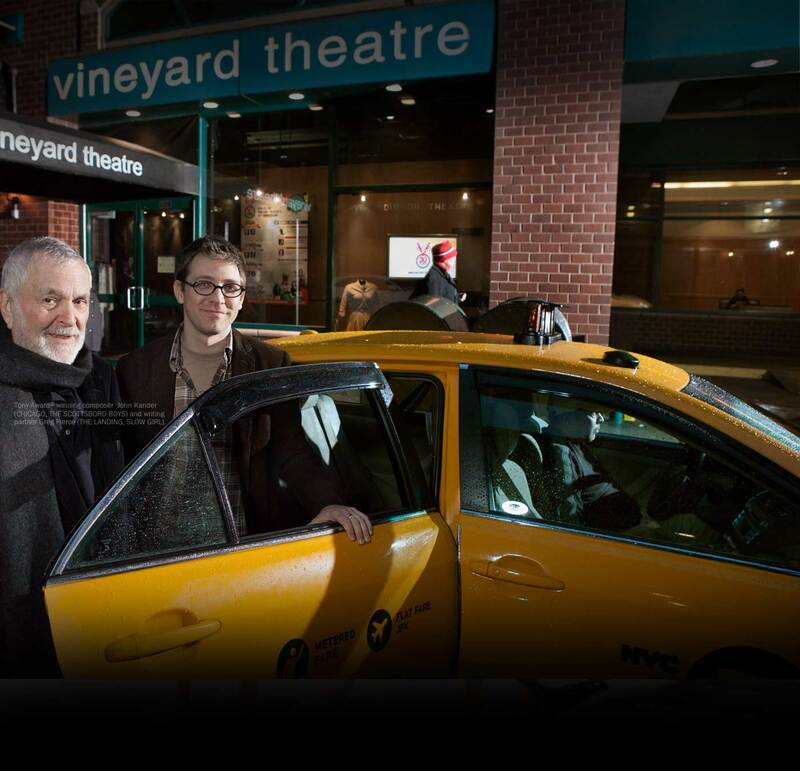 Includes premium seating; business card sized ad in the Gala; acknowledgement in the Gala Journal and Vineyard show programs; and complimentary Vineyard Theatre membership. Includes preferred seating; acknowledgement in the Gala Journal and Vineyard show programs; and complimentary Vineyard Theatre membership. Includes seating and acknowledgement in the Gala Journal and Vineyard show programs. To purchase GALA TABLES AND TICKETS, click here. To purchase SHOW-ONLY TICKETS, click here. To learn more about JOURNAL ADS, click here. Join us on Monday, May 6 as we honor the talented and beloved Colman Domingo at our 2019 Gala! The event includes a cocktail hour, a live auction, dinner, and star-studded show directed by Robert O'Hara (SLAVE PLAY). Vineyard's Gala event will include a cocktail hour and auction, dinner, and performances featuring artists of stage and screen, to be announced. Recent Vineyard Galas have included Liza Minnelli, Bebe Neuwirth, Brandon Victor Dixon, Danielle Brooks, Savion Glover, Betty Buckley, Jessie Mueller, Rebecca Naomi Jones, Ira Glass, and more. Colman Domingo is a multi-hyphante artist whose work as a writer and actor has been see all over the world. In addition to his plays DOT, A BOY AND HIS SOUL, and WILD WITH HAPPY, Colman co-wrote the Broadway show SUMMER: THE DONNA SUMMER MUSICAL and the new musical LIGHTS OUT: NAT KING COLE. You can currently see him in the critically acclaimed film If Beale Street Could Talk and the TV series "Fear the Walking Dead." Colman is the recipient of numerous awards and is hard at work developing two TV series with AMC and HBO, which he will executive produce and write. $25,000 Table (Goods and services estimated at $3,700) Includes premium seating for 10 guests; full page ad in the Gala Journal; acknowledgement from the stage during the Gala and in Vineyard show programs throughout the season; digital logo presence at the Gala; opportunity to host artists at your table; and complimentary Vineyard Theatre memberships for all table guests. $15,000 Table (Goods and services estimated at $3,700) Includes preferred seating for 10 guests; half page ad in the Gala; acknowledgement in Vineyard show programs throughout the season; opportunity to host artists at your table; and complimentary Vineyard Theatre memberships for all table guests. $10,000 Table (Goods and services estimated at $1,900) Includes seating for 10 guests; quarter page ad in the Gala; and acknowledgement throughout the season in Vineyard show programs. $2,500 Ticket(s) (Goods and services estimated at $370 each) Includes premium seating; business card sized ad in the Gala; acknowledgement in the Gala Journal and Vineyard show programs; and complimentary Vineyard Theatre membership. $1,500 Ticket(s) (Goods and services estimated at $370 each) Includes preferred seating; acknowledgement in the Gala Journal and Vineyard show programs; and complimentary Vineyard Theatre membership. $1,000 Ticket(s) (Goods and services estimated at $190 each) Includes seating and acknowledgement in the Gala Journal and Vineyard show programs.